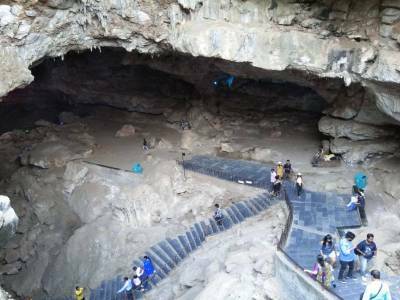 The limestone caves of Andhra Pradesh is very famous and popular. 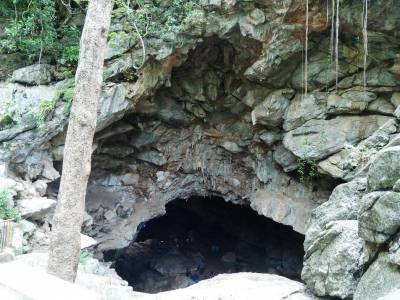 The limestone caves in Araku Valley are called Borra Caves locally known as Borra Guhalu, meaning the “hole caves” in bilingual terms. The Borra Caves are located in the Visakhapatnam district of Andhra Pradesh, India. Located at an elevation of 705 metres in the Eastern Ghat mountain range of Anantagiri Hills is one of the oldest limestone caves in India. It was discovered by the Geological Survey of India in the year 1807 under the leadership of archaeologist William King George. The Borra Caves are about 80 meters deep and are the deepest caves in the country of India. 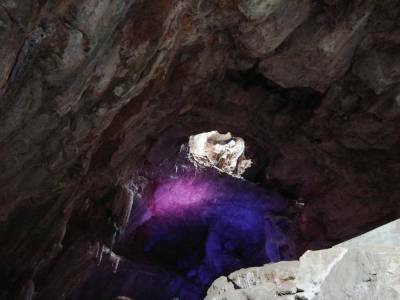 The Borra Caves is an ecological hub also with many cave flora and fauna deposits. Archaeologists predict that the cave may have been inhabited by human during Palaeolithic age. The stalagmites and stalactites of the Borra Caves are a vision to behold. The natural wonders are limitless and many such cave formation has given birth to mythical legends like the cow shape formation is believed to be the source of inception of the water for the local river Gosthani. 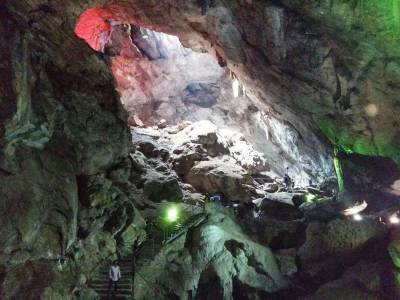 The Borra Caves are one of the favoured tourist spot in Andhra Pradesh and is about 90 KM drive from Vizag. Araku Valley is a good sightseeing spot around here and it is well connected by road and rail. 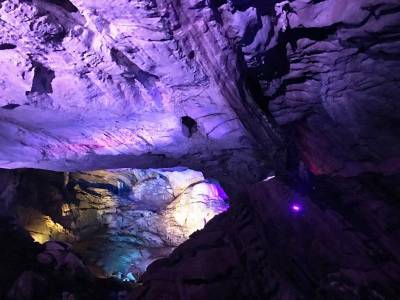 Get quick answers from travelers who visit to Borra Caves.